Here at The Test Pit we love Hexbug and have been fortunate to review a few of the robotic toys from their impressive range (like this and this). But whereas previously the Hexbugs have done whatever they please without human intervention, the Strandbeast puts you in the driving seat. 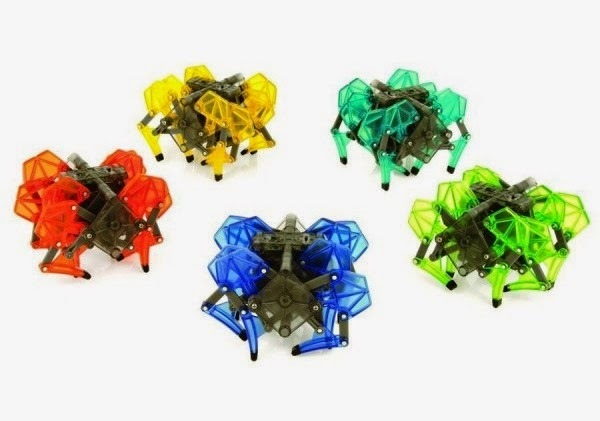 Simply put, this is a remote controlled walking robot with eight legs and a hypnotic motion. The design is based on Dutch artist Theo Jansen's wind-powered beach walking robot you might have heard about a few years ago, and certainly you can see how the designers at Hexbug have been inspired by that creation. 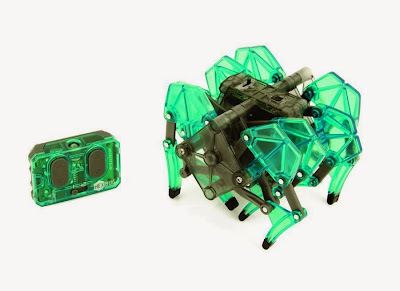 Controlling the Hexbug Strandbeast is a little like driving a tank, as instead of steering you increase or decrease power to each side of the robot, both of which are separately powered by their own drive shaft. Full power from both thumbs and the Strandbeast will charge forwards to terrorise your younger siblings and pets, while pulling back on either the left or the right will turn it that way. All the way back on one side with all the way forward on the other will result in a creepy spin, like a spider rotating in a web to ensnare a fly. Once you get the hang of the controls this plucky little creature is tonnes of fun. The creepiness of the movement is testament to the ingenuity of the design; anything that can seem fluid and organic while actually being made out of plastic wins top marks in our opinion. 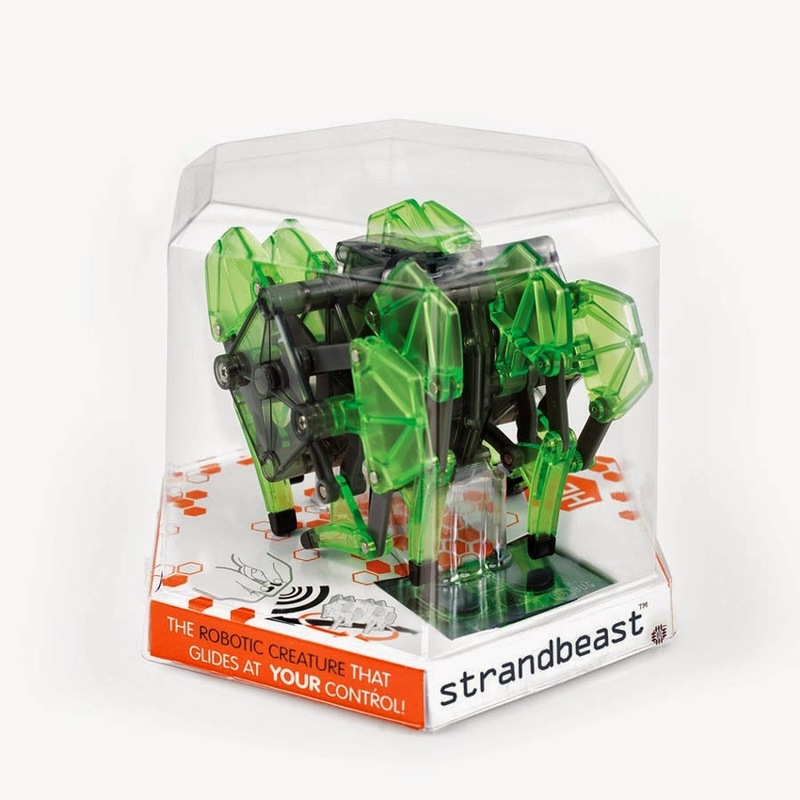 We can see Hexbug developing the Strandbeast to include weapons and further tweaks to the design - imagine a whole army of these things coming at you with built in Nerf guns! Stay tuned.